Pergamum, Anatolia, now the modern Turkish town of Bergama, was one of the most important cities in the Hellenistic Greek age. It was culturally rich, with an extensive library at its heart. The city gained renown as an administrative center when it was ruled by King Eumenes II from the Attalid dynasty. It was under this king that Pergamum severed ties with Macedonia and made an alliance with the Roman Republic. The city boasted a population of over 200,000 citizens. Culturally, it rivaled both Alexandria and Antioch with its many works of art, including sculptures and advanced architecture such as the Great Altar of Pergamum. It was also an important religious center, being mentioned in the New Testament as one of the Seven Churches of Revelation. Around 133 BC, Pergamum was bequeathed to the Roman Republic, and in the Middle Ages it fell under the rule of the Ottoman empire. Pergamum’s library was the center for all things cultural. The Greek writer Plutarch said that it had approximately 200,000 volumes. It came to be known as one of the most important libraries in the ancient world and was second only to the Library of Alexandria. According to the ancient chronicler Pliny the Elder, the Library of Pergamum became so famous that it was considered to be in “keen competition” with the Library of Alexandria. Both attempted to amass the most complete collection of texts, and they developed rival schools of thought and criticism. In fact, legend has it that Egypt’s Ptolemaic dynasty halted shipments of papyrus to Pergamum in hope of slowing the library’s growth. As a result, the city may have later become a leading site for parchment production. A distinguished citizen of Pergamum and wife of a town councilor, Flavia Melitene, was instrumental in supplying the library with many of its works. Notably, she presented a statue of the Roman Emperor Hadrian to the library as a gift. Legend has it that Mark Anthony, ruler of the Macedonian empire at its height, later gave all 200,000 volumes within the library to Cleopatra as a wedding present. The volumes were destined for the Library of Alexandria - ending the recognition of the Library of Pergamum as one of the greatest of its time. It is possible that these volumes were destroyed in the fire at the Library of Alexandria, as the date in which it burned to the ground is unknown. Some have posited that Julius Caesar burned the library in his first civil war in 48 BC. 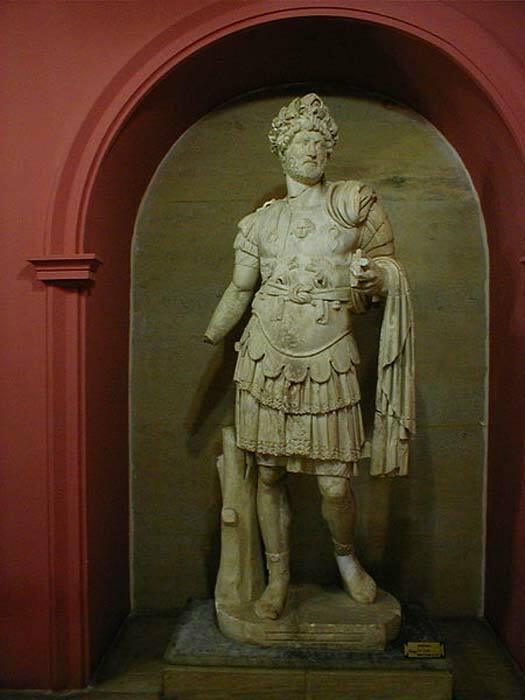 Some other suggested dates for the library’s destruction are: the attack of Aurelian in 270-275 AD, Pope Theophilius of Alexandria’s decree to destroy previous pagan knowledge in the name of god in 391 AD, or the Muslim Conquest of Egypt c. 642 AD. If the library was destroyed by Julius Caesar, it supports the story that Mark Anthony gave the contents of the Library of Pergamum to Cleopatra to refill the once great Library of Alexandria. Unfortunately, there is no known catalog of the Library of Pergamum, which makes it impossible to know the true scope of the collection. 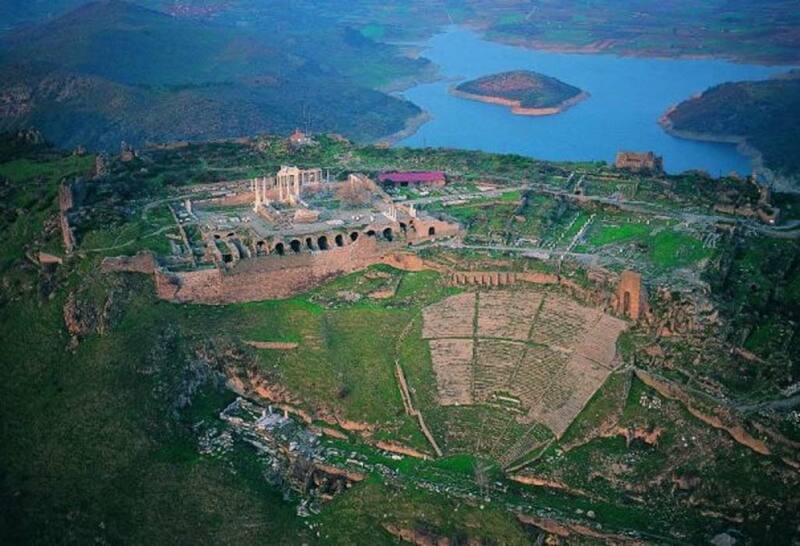 Built by Eumenes II at the height of Pergamum’s fame, it was situated on the northern end of the acropolis. It is the only Greek library for which archaeologists today have secure evidence, therefore, it is the only library from the ancient world that we can draw conclusions from regarding its architecture and the equipment used within it. It is now largely accepted that the layout looked approximately like this: a monumental room with a large statue of a deity as its focal point situated opposite the main entrance. Typically, this was a statue of Athena. The main room had an exedra, a side-room or portico, forming the base of the bookshelves. The shelves were closed cupboards about 2 meters (6.56 ft.) high, leaving the space on the rest of the wall to the roof free for windows to admit natural light. The room may have been used for debates, lectures, ceremonies, and study. Only a small portion of the collection would have been housed in this room, since it could not have held the 200,000 volumes. Ancillary rooms were built from time to time to house the growing collection during Eumenes II’s rule. These new rooms were not architectural masterpieces by any means, but they were functional and used to hold the vast amount of volumes. The new rooms also functioned as scriptoria and writing rooms. Space was left between the shelves and the outer walls of the building to allow for air to circulate around the volumes in the large, central reading room. The reason for this was to prevent the library from becoming overly humid in the warm Anatolian climate. This is widely seen as an early attempt at library preservation. Humidity has always been one of the greatest enemies of libraries. The rolled papyri and parchment volumes were stored in closed cupboards for protection from the damp that came from the foundations and the large open windows. Soon after their construction, the windows required awning to be built above them to shelter them from the rain and dust of the outside world - glass window panes were not used until the late 1st century BC. Although it is in ruins, the library still stands as a testament to the great wealth of knowledge possessed by the Greeks, Romans, and their allies. It is an archaeological treasure trove that gives us a window into the past with regards to the volumes it may have held and ancient art and architecture. As such, it remains an extremely important site today, as it was in the ancient world. Great Article Veronica. Well researched. It is time we deconstruct the eroneous myth that the Moslems destroyed the Library of Alexandria when in fact, Islamists were as cosmopolitan as the Greco Roman crowd of the day. Pergamum, and later the Iberian libraries, cannot be ignored. Western intelectualism owes a great debt to the scribes of Pergamum and Cordova. 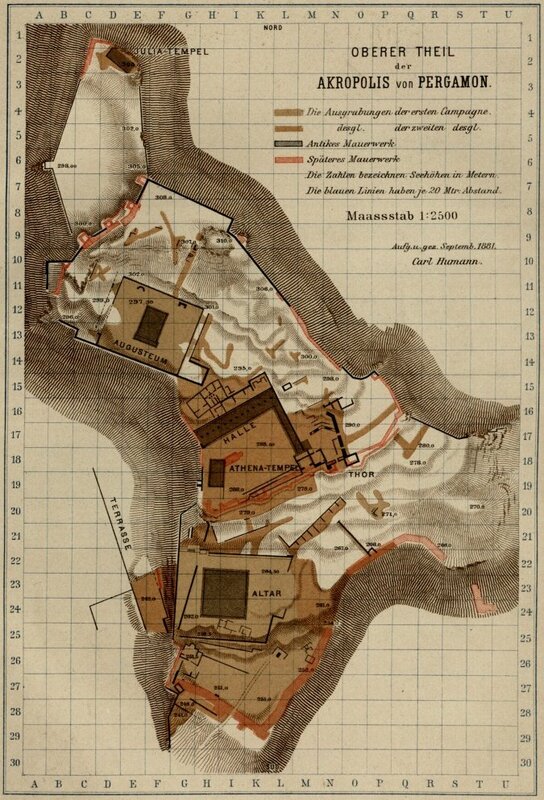 The people of Alexandria were no slouches and knew when attacks were emminant, so the library collections were likely moved to Pergamum for safe keeping before invasion. The children of Mohammad were very tolerant and interested in science and the arts during this era and were actually living side by side with Christians and Jews during the Golden Age of Islam (abt. 640 to 1492ce).We should all pray for another such era. At the end of this golden age of Islam in Iberian Spain, when Isabel and Ferdinand's house of Aragon cast the last of the Moors and Turks from the the land, the zealous good Christians also deported hundreds of thousands of Jews, Pagans and non Catholic Christians. With no where to go and stripped of their possessions, refugees were shipped off to North Africa and Italy. Tens of thousands died of starvation, disease and exposure or became a meal for lions and jackals. Let the truth be told.